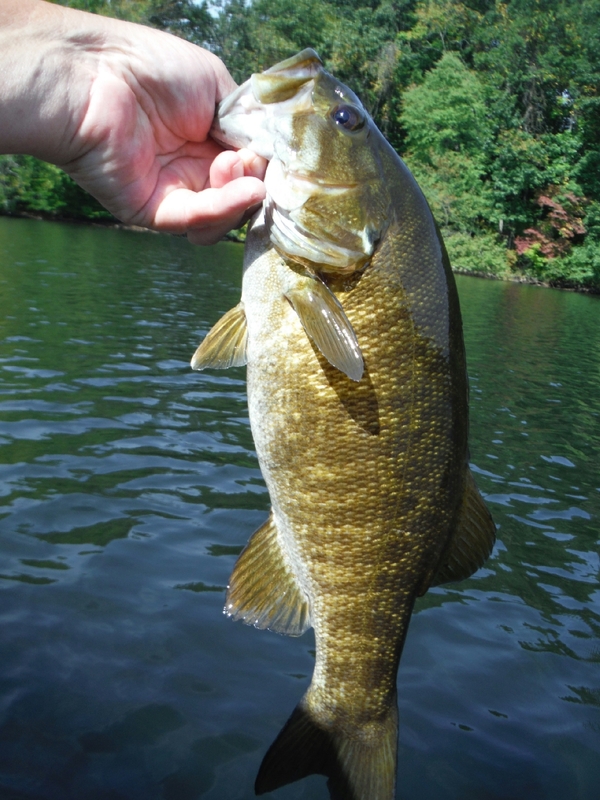 A bass boat is a motorized watercraft designed especially for carrying several anglers engaged in bass fishing. 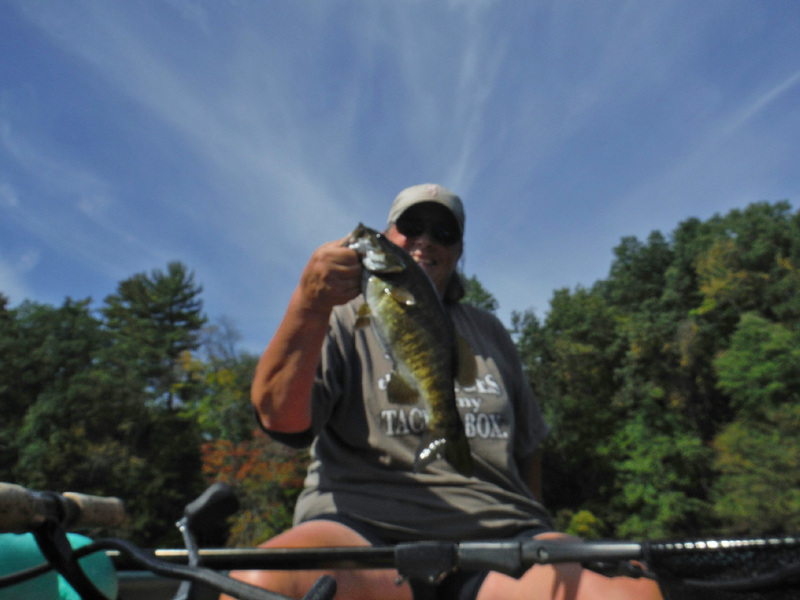 The Wavewalk S4 is an ideal portable bass boat for up to three anglers. Captain Larry Jarboe from Wavewalk Adventures in Key Largo, Florida, drives his “White Knight” workhorse S4 kayak-skiff powered by a 9.8 HP 2-cycle Tohatsu outboard motor, outfitted with a 9″ pitch propeller. Larry easily gets to a 17 mph speed, which is probably a world record for vessels that are officially designated as kayaks, such as the S4. He drives sitting in the side-saddle position, similarly to the way that he’s been driving dinghies and other small boats for decades – No stability problems, and no control problems, even in the chop. Most people who drive the S4 and other Wavewalk kayaks / boats do it in the riding position, with a leg on each side of the saddle seat, similarly to the way that Personal Watercraft (PWC a.k.a. jet-ski) drivers operate these vessels. Generally, 2-stroke outboard motors are lighter than comparable 4-stroke outboards, which makes them more portable. 9″ is the highest pitch for propellers that fit this motor. A propeller with a higher pitch would have probably added some speed to Larry’s record. In any case, 17 mph falls within the upper range of speeds achieved by small, lightweight boats with propellers of such pitch. Practically speaking, this performance coupled with the S4’s capability to carry on board up to three anglers and their fishing gear, puts it on par with Jon boats, skiffs, and even some bass boats. 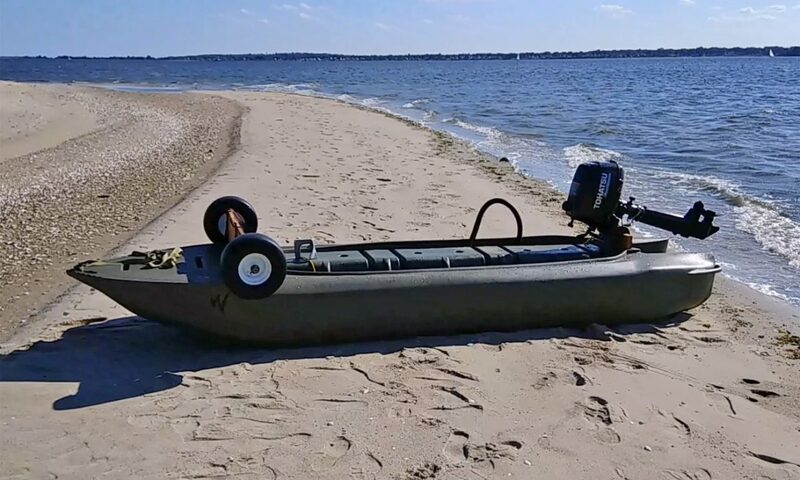 The S4 is an ultralight car-top boat that can be launched and carried anywhere, as well as paddled in extremely shallow water, and it is most seaworthy. These facts offer its users an advantage that neither conventional nor new boats do. Note that Larry is a most experience boat driver, and driving such a small craft at such high speeds requires skills that not anyone has. This is to say that we do not recommend such powerful motors for the S4. I took the W700 to Rainbow res in Windsor Ct. I wanted to really run the one of the motors for a good test. Of course I had to fish too. I got a great shot of this gray heron flying by me. My next outing I’ll be testing another motor, and of course some more fishing. Funny thing, I ran into Gary Rankel’s fishing buddy (I think his name was Art) at the boat launch when I was leaving. I was stunned to say the least, up from Florida with friends. 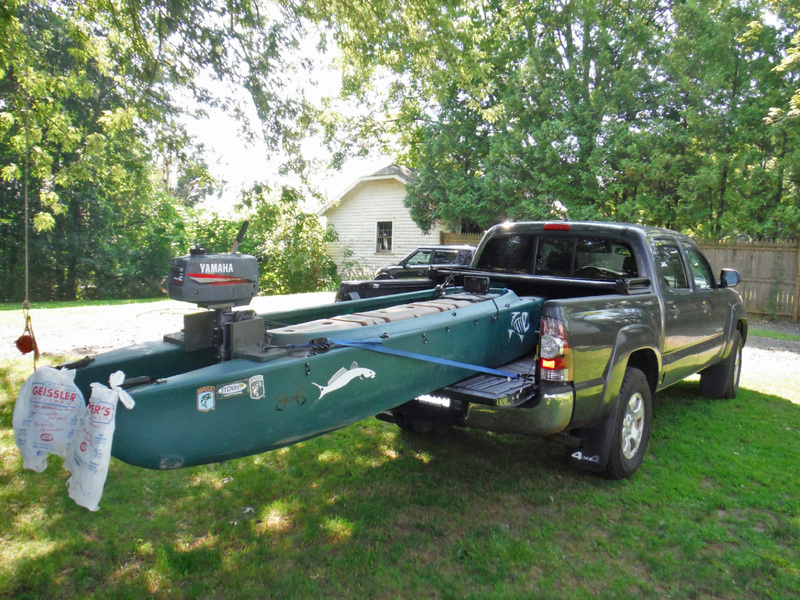 I’ve had many fishing boats, including a center console catamaran, a 17 ft [pedal drive fishing kayak], and even a W300. I still use my center console boat, but I fish mainly out of my S4 now. The 17 ft [pedal kayak] was stable but just too big and heavy, and I could hardly move it on land and in the water, even with my father helping me. The W300 was too small and it didn’t work for me. I wanted to see the S4 before buying, but once I saw it I knew that was it. I love my S4! This boat is so stable that I stood in one of its hulls as soon as I put in in the water for the first time, like you [Yoav] did in that video. 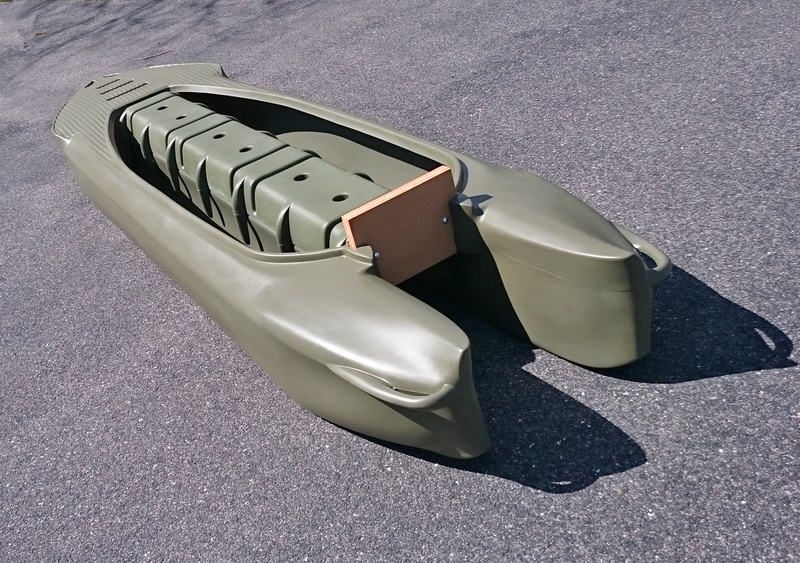 This is not a kayak, it’s a boat. I used it once with a 2 HP motor together with a fishing buddy, but it was under powered, so I bought a 6 HP Suzuki long shaft, and it’s perfect. It goes fast! I took two of my friends in the boat, with the new motor, and we went fishing in a pond. Each one of us weighs about two hundred pounds. Two of us stood in the boat and fished, and the third guy stood on the front deck. I told him to get down from there, because I was afraid he’d capsize the boat, but he said that he feels okay, and he stayed there. We ended up standing, all three if us, and fishing. I couldn’t believe it. This boat is unbelievable. I’m planning to take it to North Carolina, and fish the shallow water next to the intercoastal. It will work better there than my big boat. I’m working on a cart for it. If you ask whether Jon Boats are stable, some people would say that they are, and others would warn you to stay away from them because they are tippy and unreliable. Their answer would depend on what they understand by ‘Stability’, what kind of Jon boat they see in their mind, and in what kind of water they see it being used, and these are often based on personal experience. Is there a stability difference between a Jon boat and a skiff? 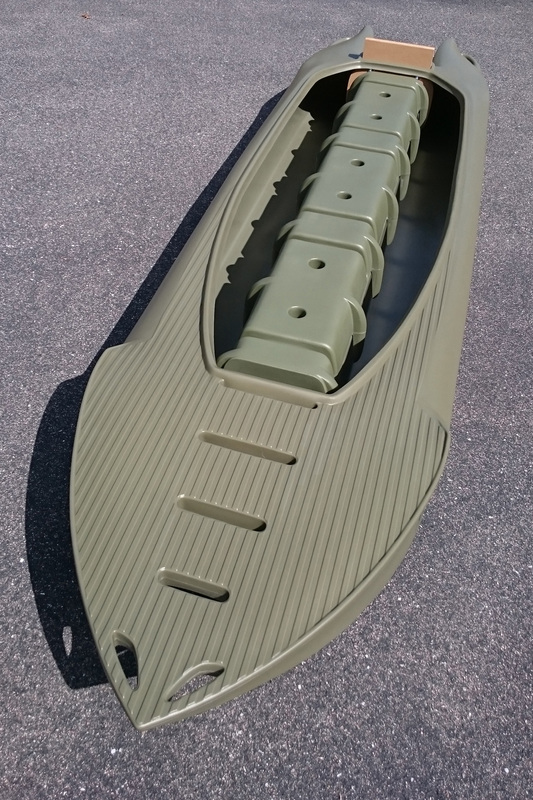 Both skiffs and Jon boats are flat bottom lightweight boats that differ in certain hull details, materials used in their construction, and deck structures. 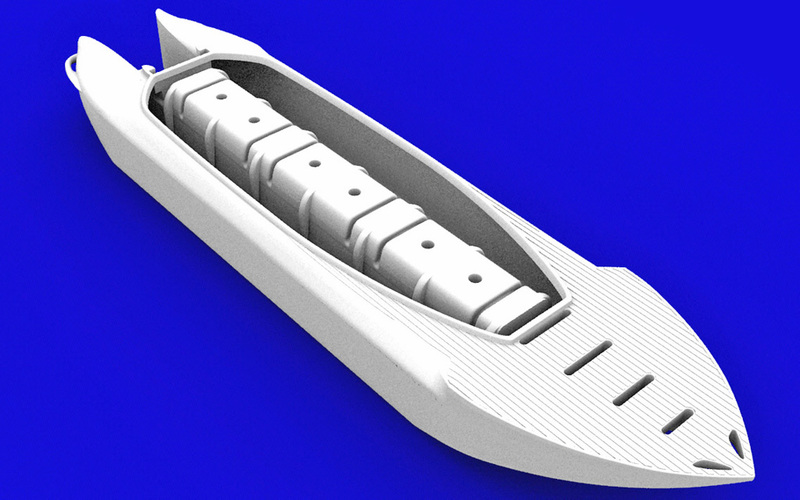 Both are designed to offer as much stability as possible for a small mono-hull boat going on flat water, and as such they are stabler than wide canoes and kayaks of the same length and width. Foot for foot and inch for inch, we don’t think there are major differences between Jon boats and skiffs in terms of the stability they offer. In other words, a Jon boat and a skiff of the same size, namely both length and width, can be expected to be about as stable as each other. Who Uses Jon Boats, and Where? Jon boats are small fishing boats that are popular among inland fishermen who fish ponds, small lakes, marshes, and slow moving rivers, namely flat water that’s usually well protected from wind, waves, and preferably from fast motorboats that generate big wakes. 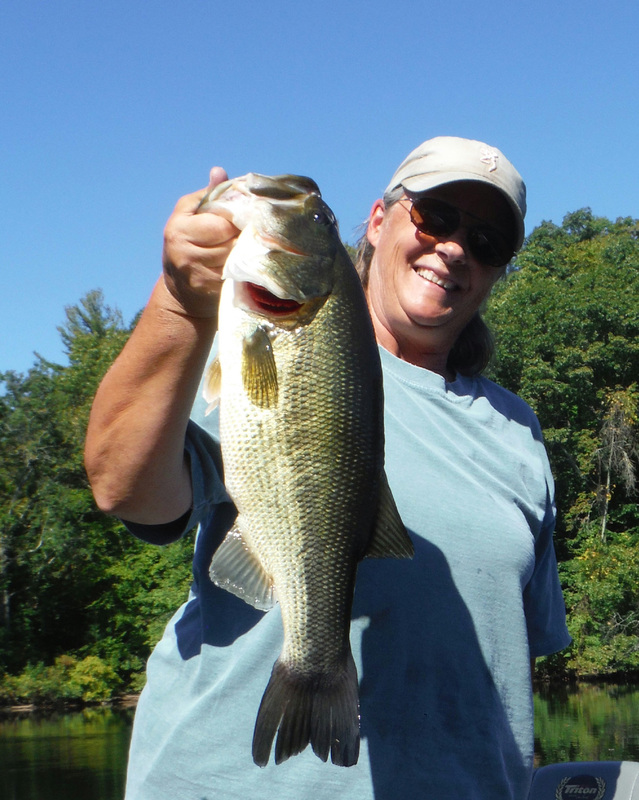 These anglers may fish alone, but typically they fish in crews of two. Bigger Jon boats can be used in bigger lakes and rivers. 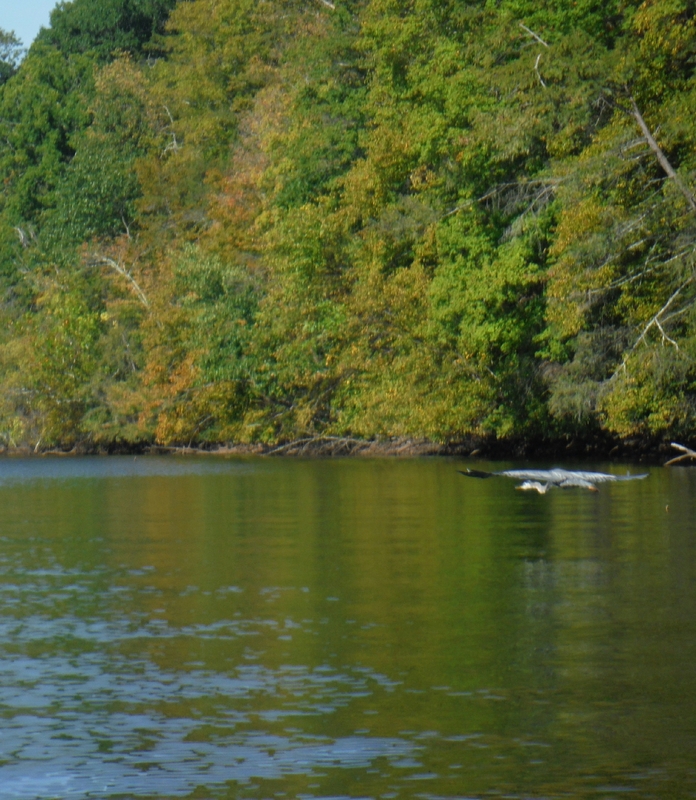 A typical Jon boat features a flat bottom designed to make it draft as little as possible, and thus work well in shallow water, while other Jon boats feature a bottom that’s partially V shaped (sometimes referred to as “Semi-V”) that drafts a little more but offers better performance in choppy water. This V shape should not be confounded with the more seaworthy Deep-V design. Jon boats can vary in width (Beam) from less than 3 ft to over twice as much, and this difference results in big variations in their stability, in this case initial (primary) stability, sometimes dubbed reserve stability. When watercraft as small as Jon boats are concerned, passengers are typically the heaviest things on board, which is why passengers’ location and movements can greatly affect the boat’s stability. Narrow-beam Jon boats are notoriously unstable, especially with a crew of two on board. 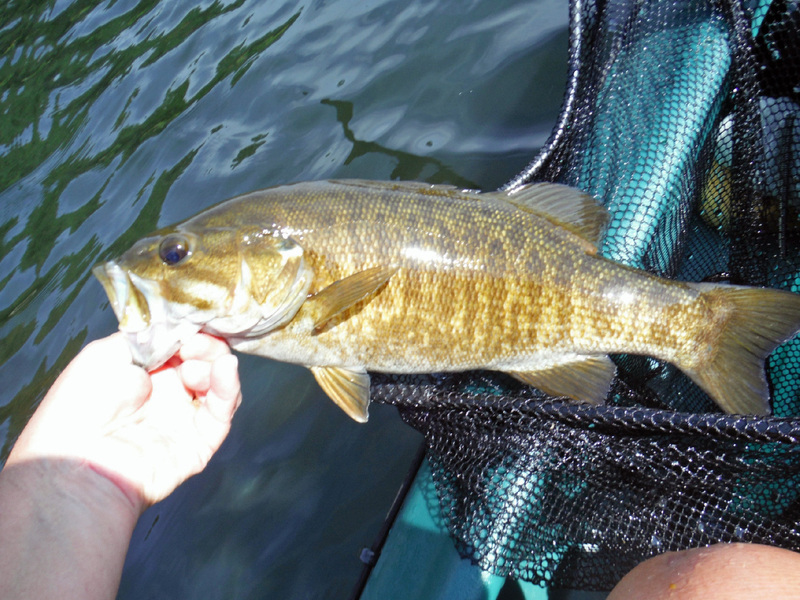 Their instability can be felt even when they are used for fishing ponds and small lakes, where they are expected to perform at their best. 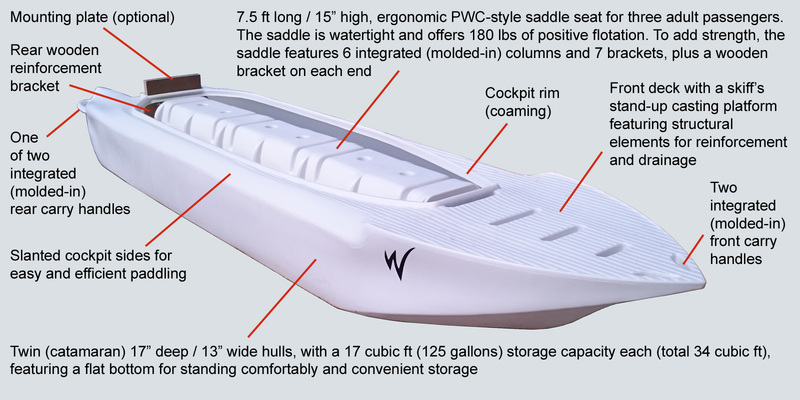 Reading articles about Jon boat stability and user testimonials on this subject could lead the reader to the conclusion that any Jon boat that’s narrower than 48″ might not be stable enough for a tandem crew, and starting from this size, Jon boats get sufficiently stable, especially longer models. Another factor that affects a Jon boat’s stability is its length, since it acts as an enhancement to its width – A longer Jon boat is more stable than a shorter Jon boat of identical width (Beam). External factors may destabilize a Jon boat as well, or at least destabilize the passengers on board – Such factors can be wind, waves and other boats’ wakes that hit the boat, especially on its sides (lateral waves). However, the above formula seems outdated in view of the fact that these days the average adult US female weighs 160 lbs, and the average adult US male weighs 200 lbs. Therefore, to calculate the number of adult passengers in a Jon boat, we suggest to use the same formula and divide the result by 20 instead of by 15. 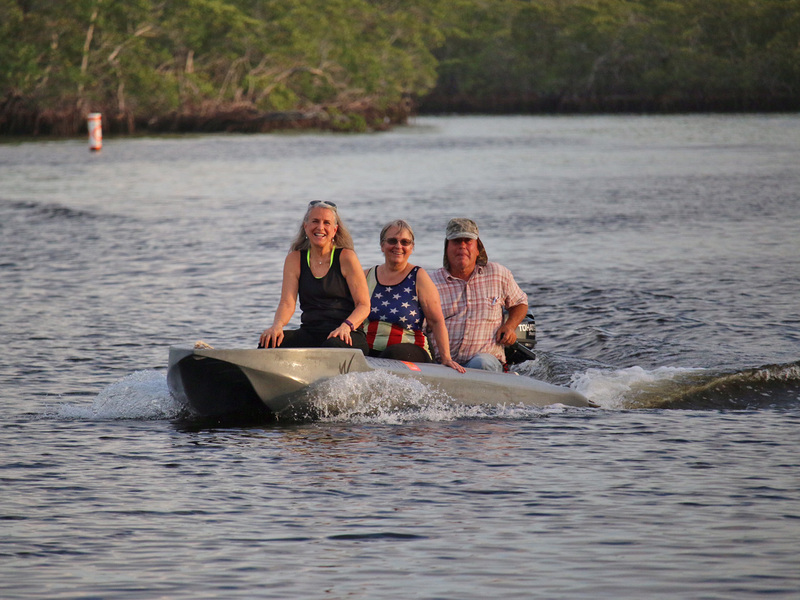 Can the 13 ft long and 38″ wide Wavewalk S4 carry 3 passengers on board? Jon boats often feature rudimentary bench-like seats that are similar to ones found in canoes and dinghies, or high swivel seats such as can be found in bass boats. Neither types of seats are optimized for supporting the user’s balancing efforts, and they’re not very good in keeping their user anchored to their place and in full control of their body’s center of gravity (CG). This ergonomic deficiency exposes a Jon boat’s passenger to unexpected lateral (side) motion, as well as vertical motion, whether such motion is the result of an external force such as a wave or another boat’s wake, the movement of another passenger on board, or even the strong reaction of the boat to that passenger’s own movements. More specifically, people on board a Jon boat can have a hard time finding their footing and balancing themselves intuitively, comfortably and effortlessly, and from the moment they lose their footing and balance, their own weight can act as an additional destabilizing factor that may tip the boat over, send its passengers overboard, and in some cases even overturn the boat. 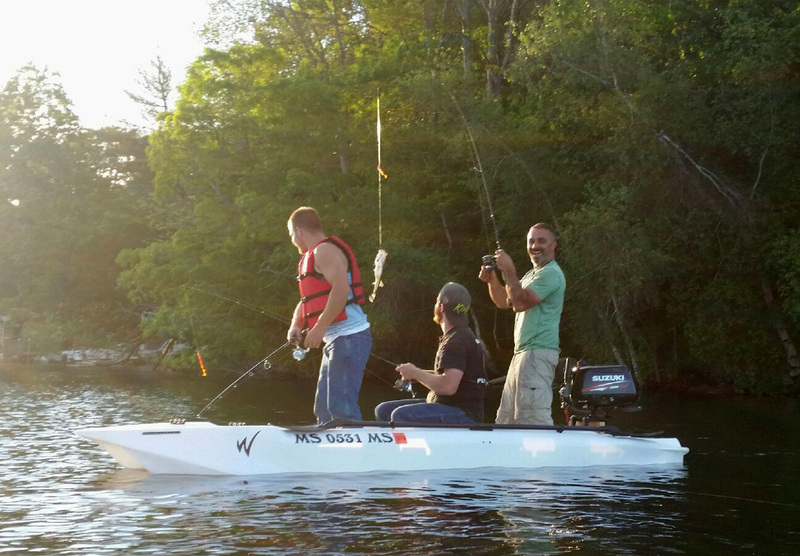 A Jon boat of a smaller size works better as a fishing boat for one angler than it does for a crew of two. 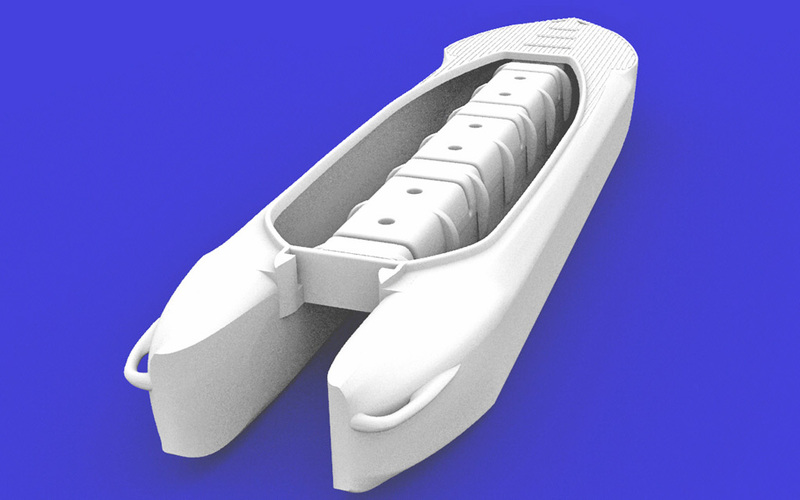 Typically, Jon boats are motorized, and the flat bottomed ones can be easily deflected from their course as well as destabilized when going in lateral waves, especially at higher speeds. In such cases, the deficiency in a Jon boat’s lateral stability can become more problematic by the lack of good directional stability (tracking capability) that characterizes such boats, in particular ones that feature a flat bottom. People who use such boats are quick to head back home as soon as the wind picks up. Jon boats with a V-shaped hull do better in waves and wind, thanks to the fact that they have some capability to go through waves and not necessarily on top of them, which isn’t the case with flat bottomed Jon boats that are essentially designed for use on flat water only. 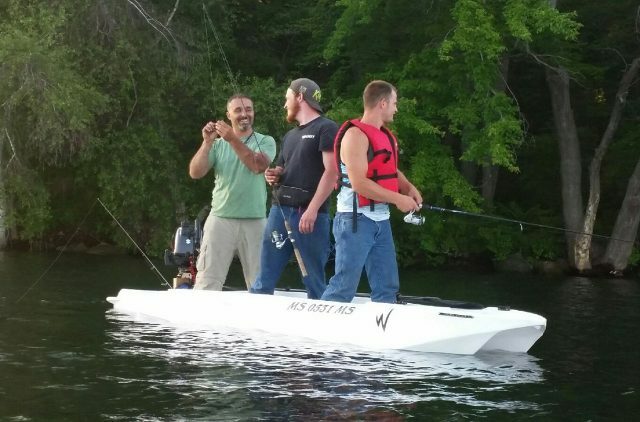 This said, although Jon boats are not considered to be seaworthy craft, the bigger ones are sufficiently stable to offer a good experience to a crew of two or more anglers who fish inland, preferably in calm and protected waters, and away from fast motorboat traffic. 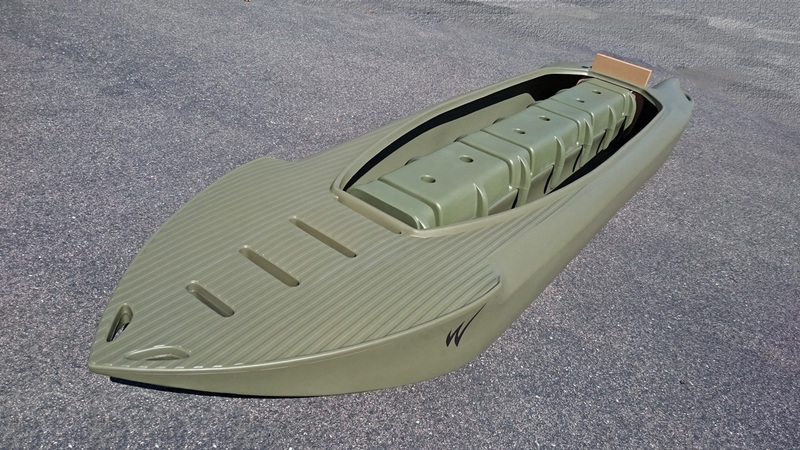 A detailed stability comparison between Jon boats and the Wavewalk® S4 is almost impossible to complete, because Jon boats vary so much in size and structure, and they can range from a flat bottomed, 32″ wide and 10 ft long (1032) boat to a V-bottom 72″ wide and 18 ft long one (1872), which can be assigned to another class of boats. The first comes from the fact that all the Wavewalk’s buoyancy is distributed as far as possible from the boat’s center line, where this buoyancy works more effectively to support lateral changes, whether such changes are external of generated on board. The second advantage is the Wavewalk’s Personal Watercraft saddle seat that offers the passengers who ride it optimal, easy and intuitive means to balance themselves. This advantage is critical in view of the fact that the passengers’ total weight can be as big the the Jon boat’s weight, and it often exceeds this weight. For example, in the photo above, the passengers’ aggregated weight exceeds the S4’s weight by a factor of 5:1. So, in order to avoid tedious detailed stability comparisons, let us simplify things and state that in general, the bigger models in the Jon boat class (over 54″ beam) are more stable than the S4, the smaller Jon boat models (less than 48″ beam) are less stable, and as for the the midsize models (48″ to 54″) the answer would depend on parameters such as their length (longer is more stable), and whether they feature a flat bottom or a V-shaped bottom, as discussed in the previous section of this article. 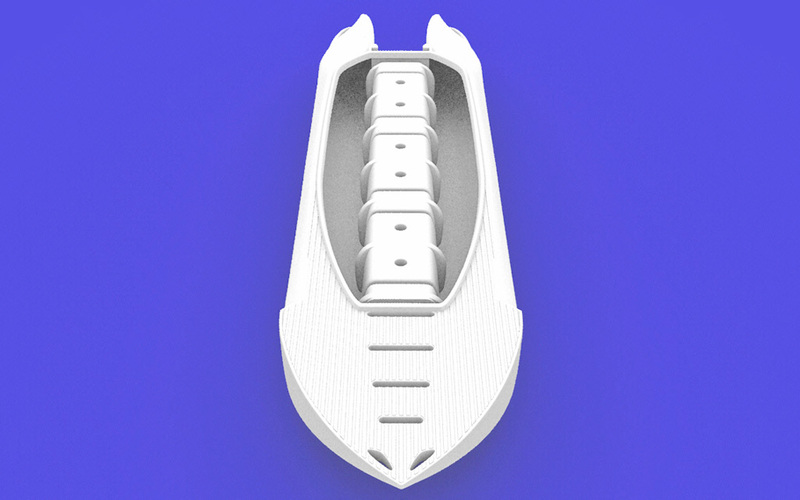 Bottom line: Compared to the traditional Jon boat design, the Wavewalk S4’s form and improved ergonomics add stability which is the equivalent of about 1 ft in width. 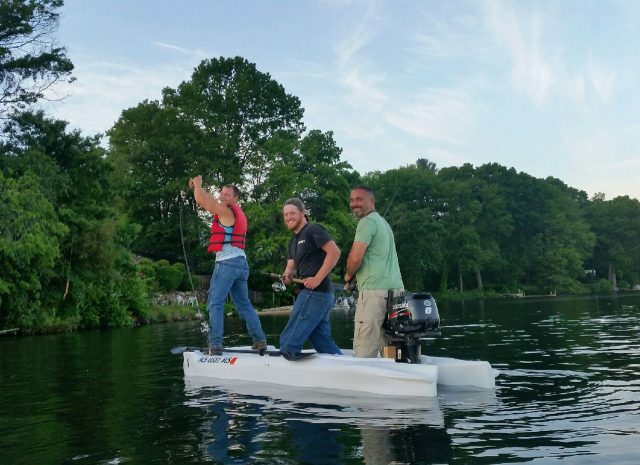 More specifically, the Wavewalk® S4 is stabler than any car-topper namely portable Jon boat. 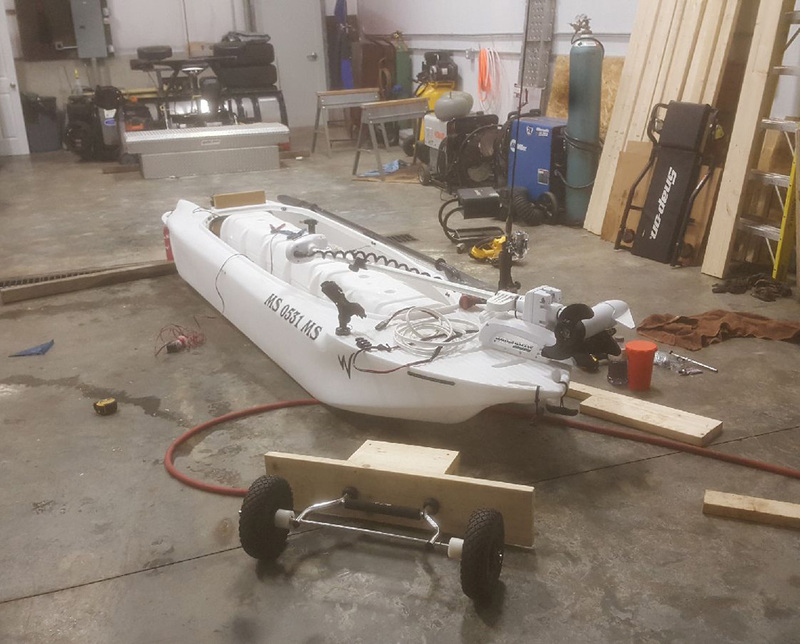 Which is to say that if you’re looking for a Jon boat that’s more stable than the S4, you must take into consideration transporting and storing it on a trailer, as well as limitations in launching it, namely being dependent on launch ramps that come with trailer boats. In addition, the Wavewalk® S4 is more stable than any Jon boat that can be propelled by means of paddling, whether it’s with dual blade (kayak) paddles or single-blade (canoe) paddles. This fact is particularly meaningful when very shallow water (‘skinny water’) fisheries are concerned, and no-motor zones (NMZ). Generally speaking, Jon boats are not considered as being seaworthy, while Wavewalk® boats are more seaworthy thanks to their good tracking capability and advanced ergonomics. These two factors allow for high performance when dealing with choppy water, which is why the S4 punches above its weight in terms of seaworthiness. Small craft are penalized for their size in several ways, and one of them is their sensitivity to carrying more weight on board, which makes them slower and less stable. This is true for all boat designs, including Jon boat and Wavewalk. Therefore if you’re looking for stability for a larger crew of heavier people, say two big and heavy guys or more, your best bet is a very large Jon boat or skiff, that is 6 ft or more in width, and over 16 ft in length, and preferably with a V shaped bottom, so that you could drive it at higher speed. Two large size fishermen can go in an S4 and have a great time traveling and fishing for an entire day without experiencing any stability problem, even standing up, but they would not necessarily be able to go at speeds as high as a large size Jon boat or skiff offers. The S4 is the world’s fastest kayak when motorized, as well as the world’s most stable kayak. The latter is the keys factor in enabling driving the S4 at high speed both on flat water and in rough water. This is Wavewalk’s 4th boat series since 2004, following the 300 (Mark I and II), 500, and 700 series. 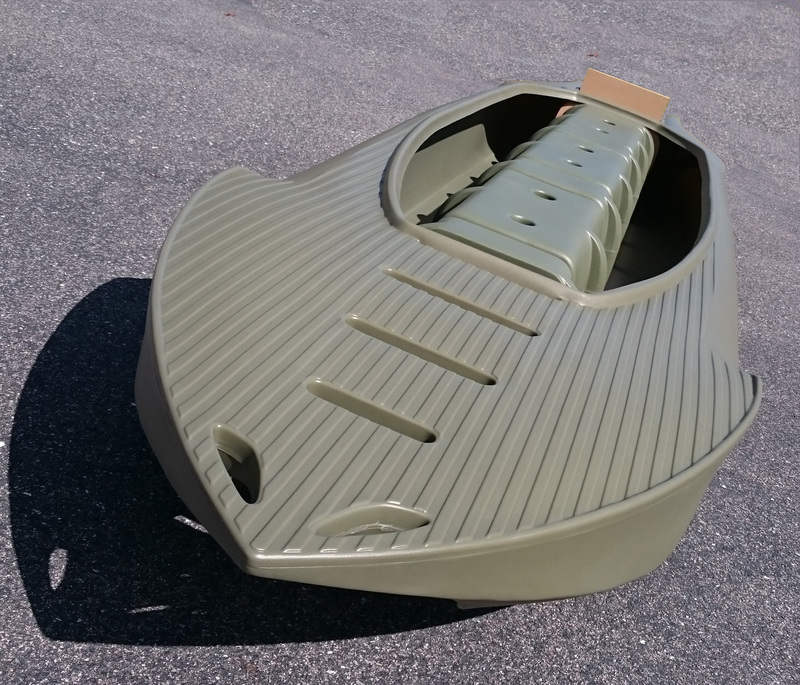 Like all other Wavewalk® products, this boat is 100% Made in USA. The S4 delivers the highest performance in the field of small boats and skiffs, even before you’ve reached the water, starting from the fact that at 98 lbs it doesn’t require a trailer for transportation, and it’s easily portable even on rough terrain. Its patented twin-hull design delivers more stability than any small boat out there, including much wider and heavier ones. This allows for driving in fast currents and in choppy water. 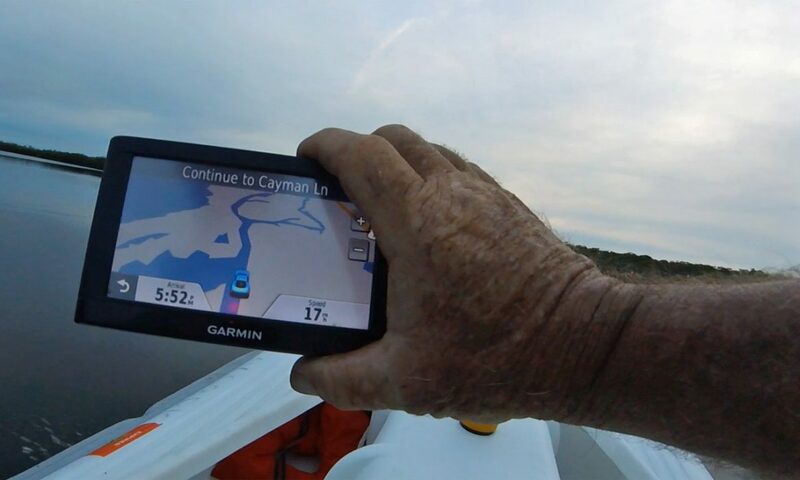 In addition, being a true catamaran makes this boat track better than other boats. The S4’s extra large cockpit (8′ long x 38″ wide) offers ample room for two anglers or hunters and their gear, or for up to three adult passengers – a total of up to 680 lbs. The S4 features a long saddle seat similar to the saddle of other high performance vehicles, which offers maximal balancing capability as well as full comfort for going in choppy water and for long trips. 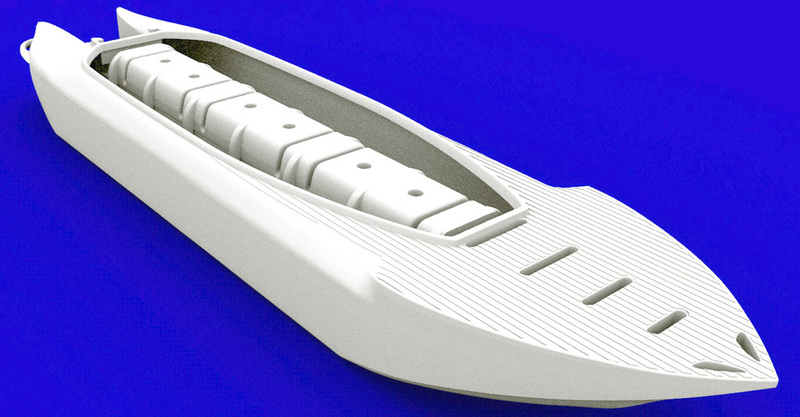 The S4 features a stand up casting platform at its bow, such as can be found in a typical skiff. The cockpit’s slanted sides allow passengers to paddle with more ease and better control than what canoes and tandem fishing kayaks may offer them. The S4 has an extremely shallow draft, and this fact in combination with its portability, load capacity and high performance as a paddle craft makes it the most practical solution for shallow water fishing. The Cockpit’s Slanted Sides allow passengers to paddle with more ease and comfort than paddling a canoe or a common kayak of such width. 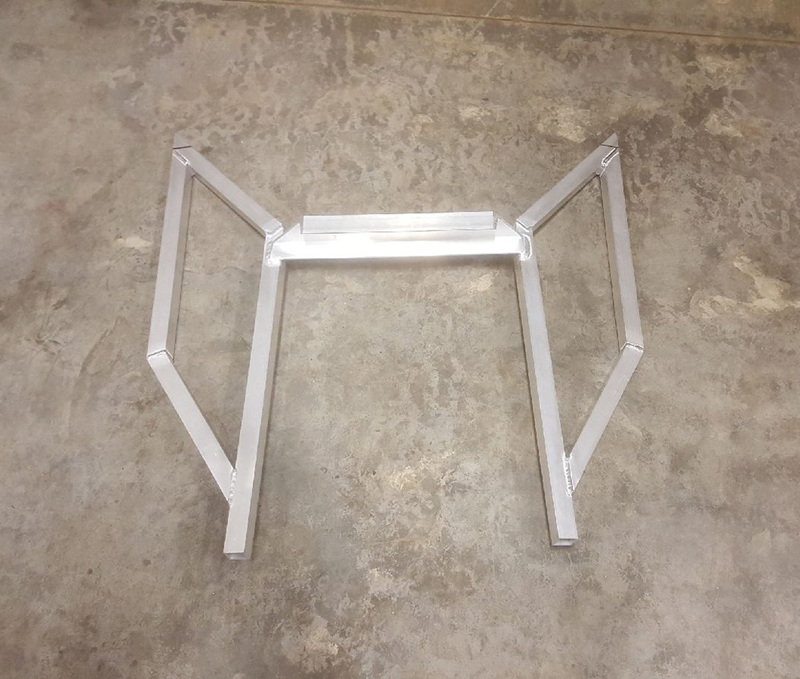 Two Medium Density Overlay (MDO) 0.75″ thick Saddle Brackets – One bracket at each end of the saddle. 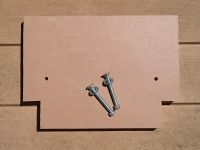 The bracket in the front provides additional support for the stand up casting platform, and the rear bracket serves as extra support for a motor mount. Built-In Flotation – The S4 Saddle is a watertight compartment that offers 180 lbs of positive buoyancy.Two pairs of integrated, molded-in heavy duty Carry Handles – A pair at the bow, and a pair at the stern. 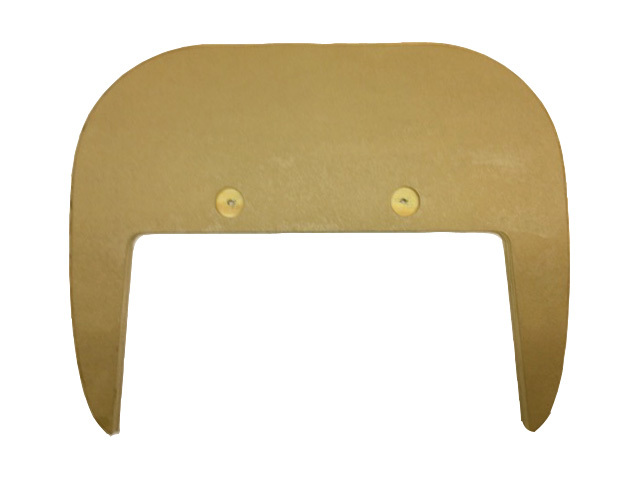 Heavy Duty (HD) Saddle Bracket: Medium Density Overlay (MDO). This price includes shipping in the US to land addresses in the contiguous 48 states, with insurance and call before delivery service. This price does not include the S4 mounting plate, whose cost is $130. 1.5″ thick. Made from Medium Density Overlay (MDO) and coated with urethane. Each mounting plate ships with a pair of 5/16″, 3″ long bolts, and self locking nuts. 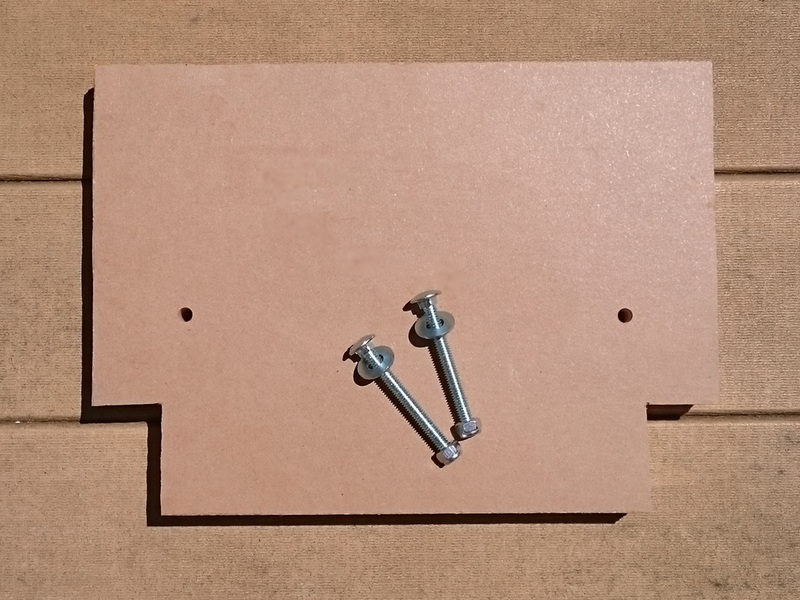 It takes a couple of minutes to attach this mounting plate to the boat: Just insert it into the molded-in stand for transom motor mount, drill two 5/16″ holes, and secure in place with the two bolts provided. Fits 20″ long (L) propeller shafts. Common dual blade (‘kayak’) paddles are neither long nor sturdy or rigid enough for paddling this paddle craft, pole it in shallow water, and paddle standing. For very tall people, or people who plan on paddling standing and poling most of the time. For high speed motorizing in choppy water. For easy and fun steering seated and standing. Initial (Primary) Stability: The S4 is more stable than any kayak, canoe, Jon boat and small skiff, including Wavewalk’s W700. 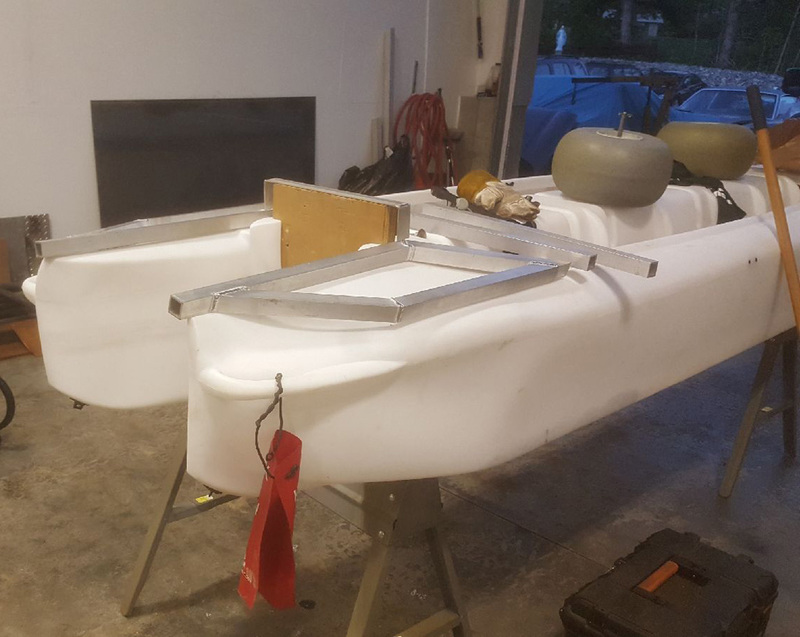 A 200 lbs person standing with both feet in one of the S4 hulls will make it draft barely 1″ lower than it would if that person stood with one foot in each hull – hardly a noticeable difference. 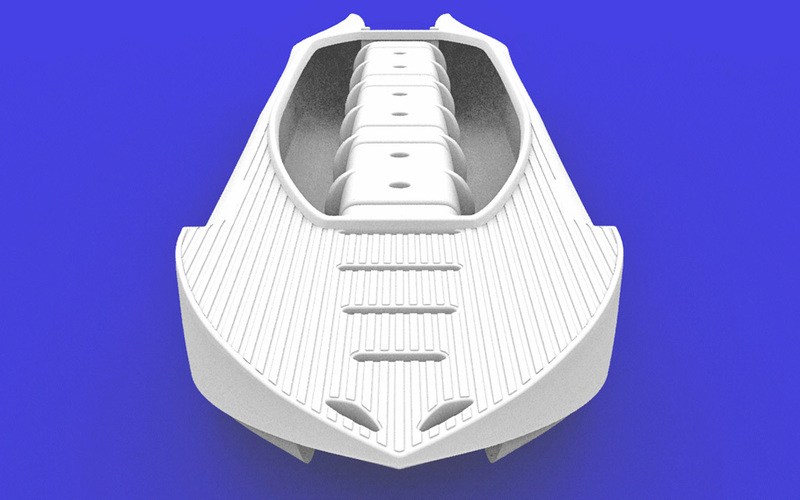 Secondary Stability and Balancing Capability: The unique combination of a saddle seat (such as ATVs, PWC and snowmobiles feature) with high-volume twin hulls enables the passengers to balance themselves easily, intuitively, and more effectively than in any other boat, including kayaks, canoes, Jon boats, dinghies, skiffs, and personal watercraft (PWC / ‘jet-ski’). The S4 is unrivaled in Stability terms. The 15″ high saddle featuring in the S4 is similar to the saddle featuring in other high performance land and water vehicles, such as All-Terrain Vehicles (ATV), Personal Watercraft (PWC / ‘jet-ski’), and Snowmobiles, as well as certain Rigid-Inflatable Boats (RIB) designed for high speed motorizing offshore. Passengers riding this saddle can travel for long hours, including in choppy water, without suffering from back pain or fatigue. This is due to the fact that while seated in the Riding position, with a leg on each side of the saddle, the passenger’s legs support them in the most effective way, and no horizontal pressure from a backrest is being applied on their lower back. In addition, the S4 passengers can stand up any time they want, and keep driving and paddling while standing up. They can even lay down with their back on the saddle, and relax. Switching between positions assures that no extreme fatigue or tension would build up in any part of the passenger’s body. The S4 weighs 98 lbs without a motor attached to it. This means that it does not require a trailer for transportation, since it can be car-topped. The S4 can be dragged or carried over rough terrain, and launched practically anywhere, whether it’s a rocky beach, shallow water, and other difficult spots that are not accessible to other boats. 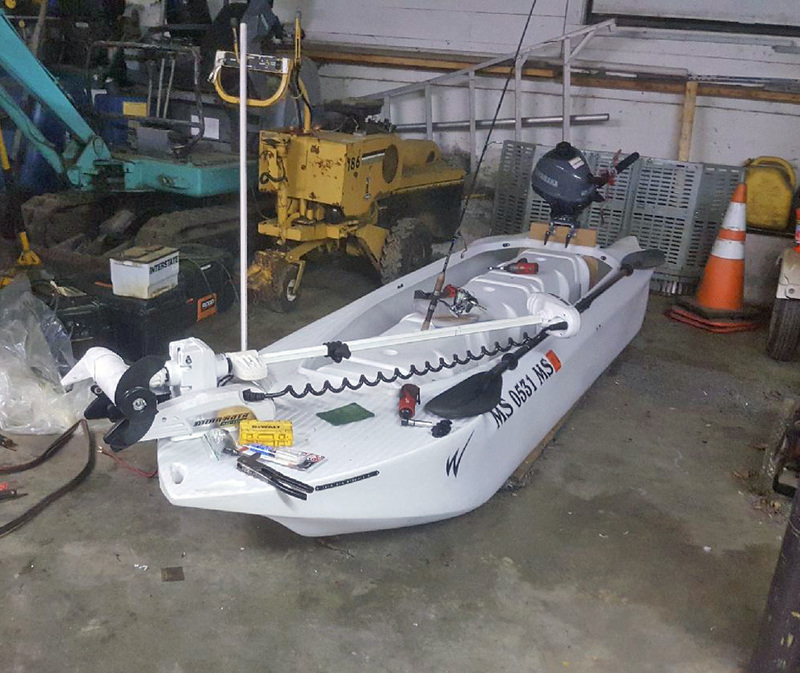 No other boat offers such a combination of shallow draft and total multi-modal propulsion, namely the ability to keep going in an effective paddling and poling mode even if the water is too shallow and/or infested with weeds to allow for motorizing. No other small boat works so well both on flat water and in the chop. The space available for dry storage on board the S4 is equivalent to the storage offered by a good size Jon-boat, or a regular skiff. So far, the speed record for the S4 is 17 mph. This record was set with a 9.8 HP Tohatsu outboard motor by Captain Larry Jarboe, and documented in video. Based on the boat’s perfect performance at this speed, it could go faster with a more powerful motor. Please note that Wavewalk does not recommend using motors that are over 6 HP with the S4. W700 advantages over the S4: Solo kayaking, tandem kayaking, solo canoeing, portability. S4 advantages over the W700: Motorizing, tandem motorizing, tandem fishing, stability, offshore trips, load capacity. Shallow water – The S4 drafts less than the W700, and it features a skiff stand up casting platform, but the W700 paddles better, generally. Offshore – Being more of a boat than the W700, the S4 offers a clear advantage in the chop. How much HP for my S4 skiff’s outboard motor?